And we're off and running straight toward spring. That ol' groundhog got it wrong this year it seems. Weather's been mostly great; so's the beer. Go get it. And so the time comes to close out yet another month. Say goodbye to one of winter's cruel months with a beer event or five. Plenty more this week to fill up your beer news mail bag. I don't cover it all, so I link to it for your convenience. Fortunately there are 365 days of beer love in a year and fortunately the events calendar has them all covered. I'm not usually in the practice of merely copying and pasting press releases, but for the sake of expediency in sharing today's news, it'll have to do. I was at Iron Hill's location in Phoenixville this past Saturday (more on that to follow in tomorrow's post) and the topic came up. Didn't get the impression that "the big announcement would be made really soon" comment actually meant in two days. Hopefully you all, like I, continue to be pleased to see our hometown small brewpub circa 1996 grow into a thirteen location, perennial award-winning family of brewpubs. Number fourteen won't be much farther behind, but that's all I can say for now, sorry. Philadelphia – February 06, 2017 – Iron Hill Brewery & Restaurant today announced that it has leased 8,450 square feet, becoming the newest tenant to join the transformative East Market project located in Center City Philadelphia owned by National Real Estate Development. Founded in 1996 by Kevin Finn, Mark Edelson and Kevin Davies, Iron Hill is the Mid-Atlantic region’s most awarded and fastest growing collection of brewpubs. Scheduled to open in spring 2018, Iron Hill Center City (1150 Market Street) will mark the company’s highly-anticipated debut in a major metropolitan hub, setting the stage for further brand expansion along the East Coast. 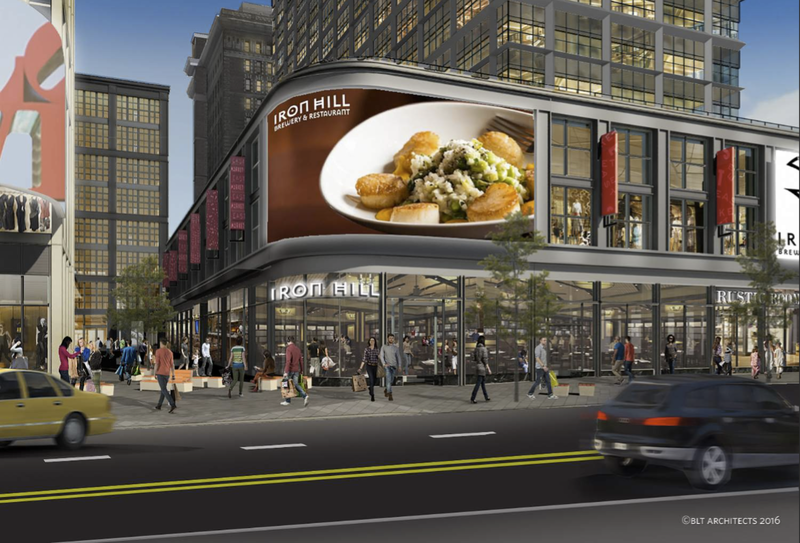 The addition of Iron Hill to East Market will bring one of the most enduringly successful craft brewers in the United States just steps from the Pennsylvania Convention Center and Reading Terminal Market. It will also serve as one of only a handful of full-scale breweries within the city limits of Philadelphia. “We’ve long wanted to join Center City’s exciting and diverse restaurant scene, but we wanted to be part of something from the ground up,” said Iron Hill Brewery & Restaurant President and Founder Kevin Finn. “There has been tremendous population growth as places like East Market draw new residents to Center City. We take great pride in embracing the communities we serve, and that is especially true in Philadelphia. We look forward to opening our doors and raising a pint with our new neighbors and friends in spring 2018." To create the comfortable dining areas, open kitchen and exposed microbrewery that have become the hallmarks of Iron Hill, it has enlisted Street Sense, a design firm with offices in Bethesda, MD and Washington, DC. Street Sense has created a vibrant, sleek design allowing for all-access views of the brewery, which is highly visible behind the bar and enclosed in glass. 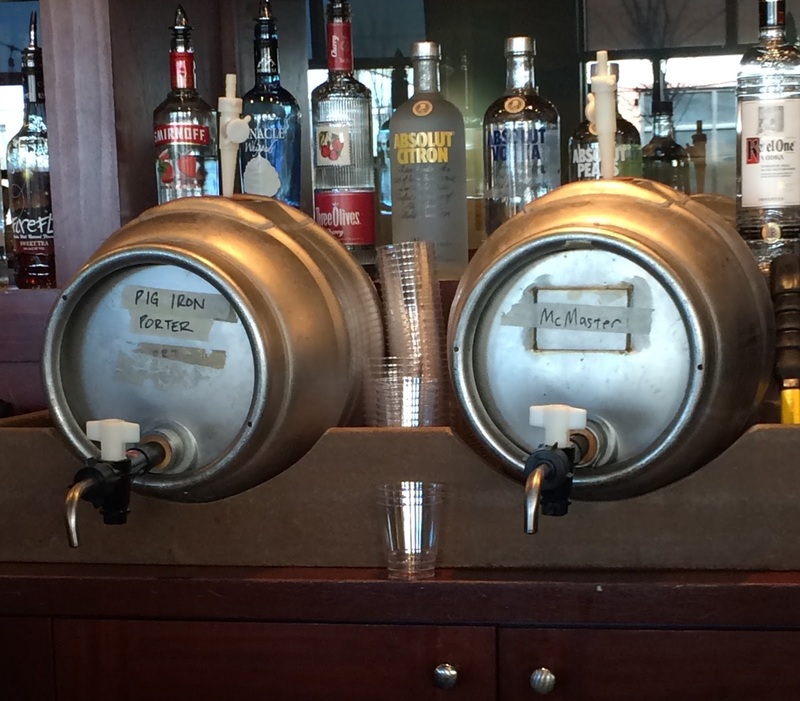 Iron Hill Brewery & Restaurant currently operates 12 locations throughout Delaware, New Jersey and Pennsylvania. In 2016 Iron Hill received an investment from A&M Capital, which positioned the company to continue its 20-year expansion from one brewpub to now its 13th location at East Market.